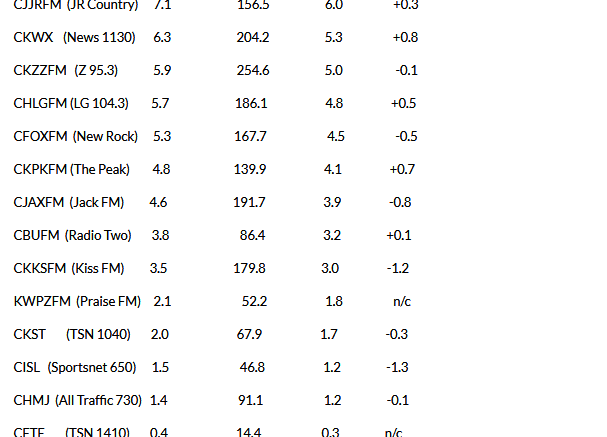 Vancouver/Fraser Valley – Last week FVN provided you with the Fraser Valley radio ratings. 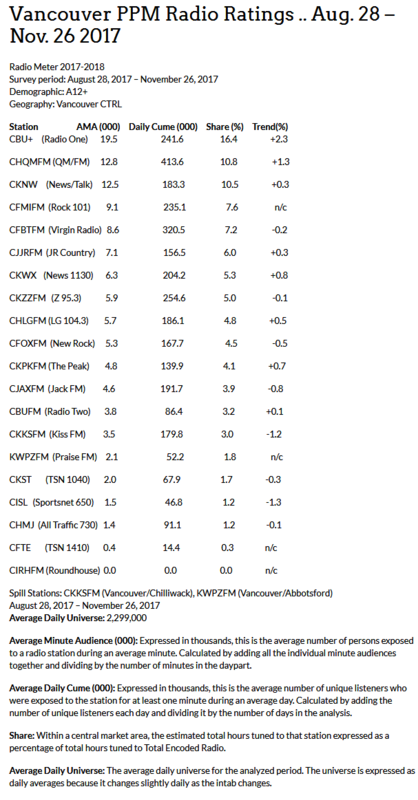 Rogers owned stations had another strong showing. In the Valley, on line rating diaries are used. That FVN article can be found here. In a major market like Vancouver, they use PPM’s or personal meters that monitor and record without having to constantly keep a diary. Be the first to comment on "2017 Vancouver Fall Radio Ratings"